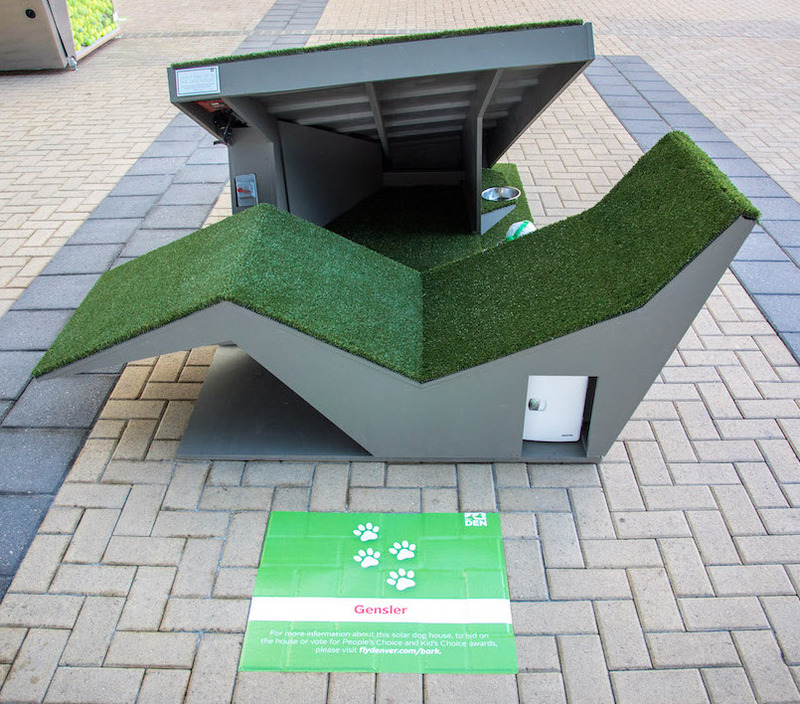 A “turf chair” dog rest made by Gensler Architecture. This one-piece concept, with its integrated “turf chair,” provides a place for Sidney’s visitors to connect with her more closely. The solar panel powers an outlet for lap top or phone charging, an automatic toy toss, an evaporative cooling system, a fridge to chill beer and carrots, and Sidney’s name in lights! 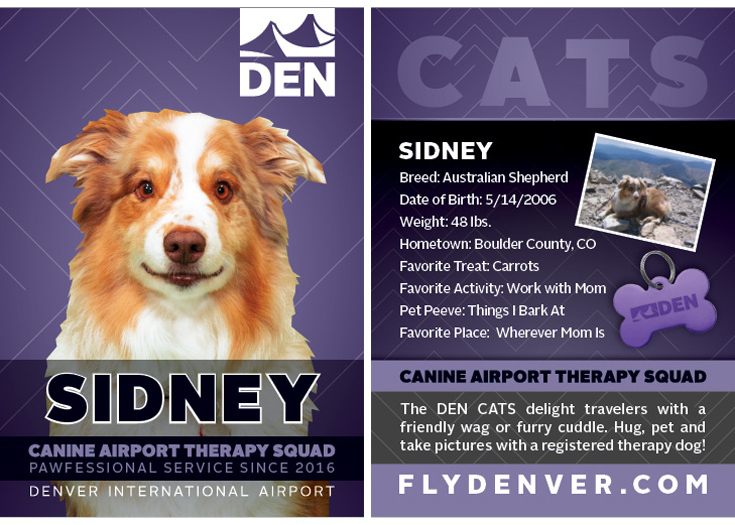 DEN Canine Airport Therapy Squad dog, Sidney, an Australian shepherd who enjoys snacking on carrots and likes hanging out with her human mom most of all. To put the health and wellness aspect of sustainability in the forefront by creating a space where Sidney can connect with her owner to create a sense of closeness and relieve stress for both.